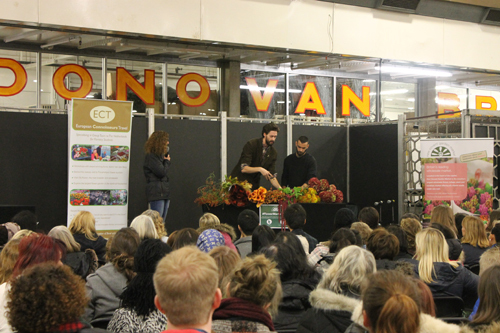 On November 5th, over 500 floristry students made their way to New Covent Garden Flower Market‘s College Day. Some of the students were there to take part in competitions and others enjoyed talks, tours and shopping. 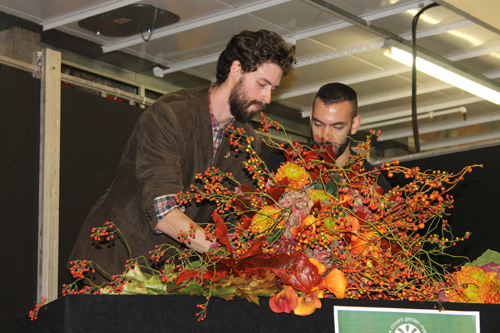 The highlight of the morning was a spectacular demonstration by the very talented florist, Francis Rushby from McQueens. 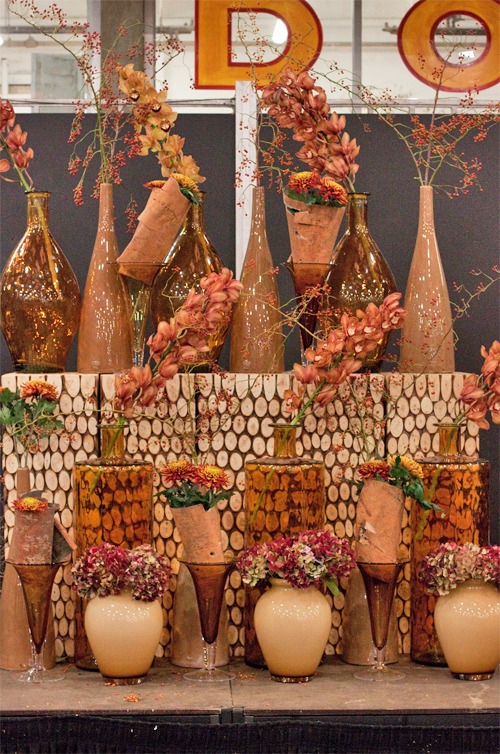 Whilst Francis created three stunning designs, I was delighted to join him on stage, as compère. 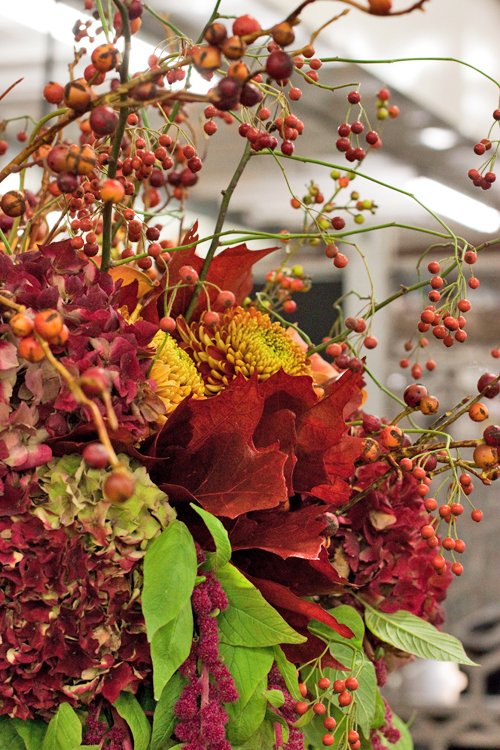 With an autumnal colour palette, the first design he made was the largest hand-tied bouquet that I’ve ever seen! 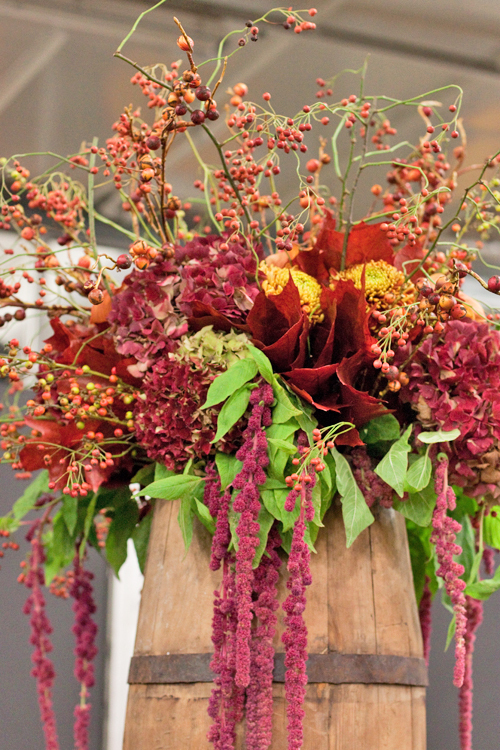 He used chrysanthemums, hydrangeas, rose hips and amaranthus. 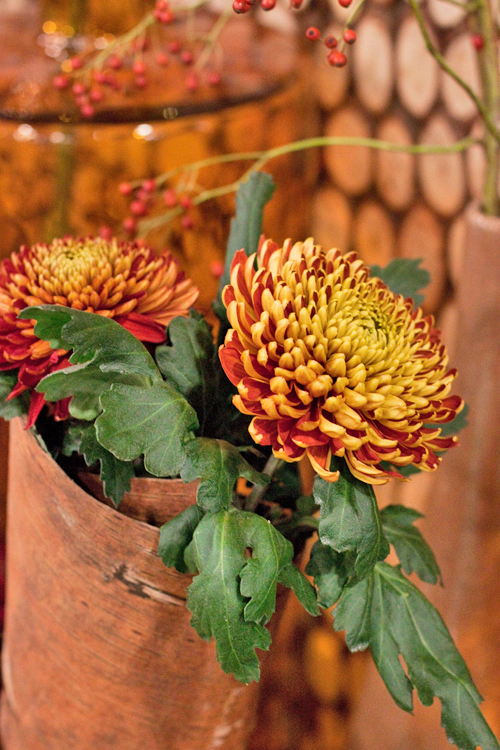 I loved his choice of a ‘gunpowder’ barrel as a container, especially chosen to fit in with the morning’s Bonfire Night theme. 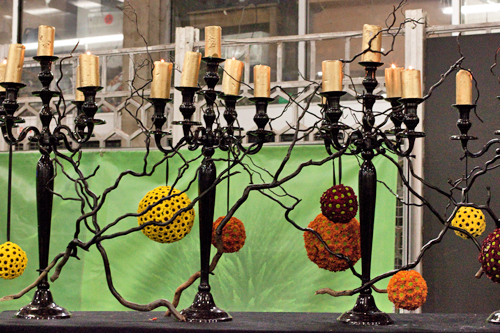 For his second arrangement, he attached black twigs to candelabras to create interest, before adding colourful chrysanthemum pomanders. Such a simple, yet so effective design! 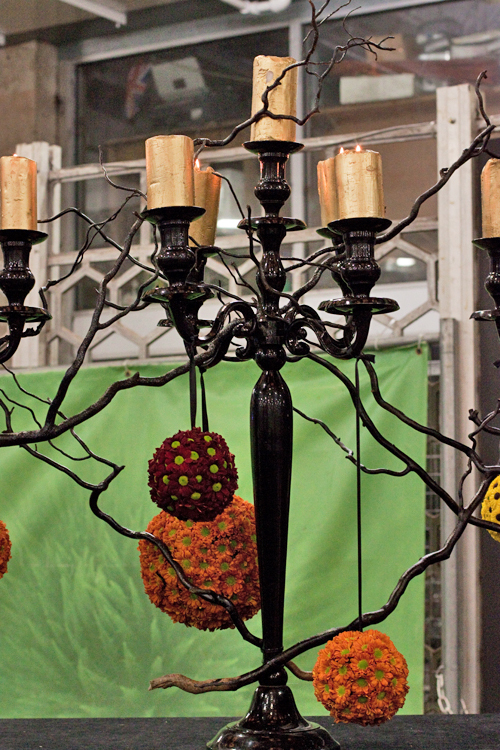 The final arrangement was a signature McQueens installation. 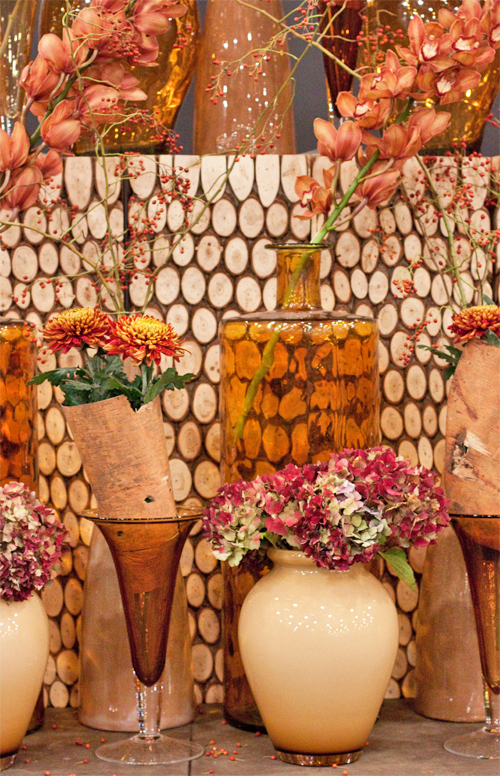 Using complementary vases in shades of orange and amber, plus wood effect plinths, Francis created a fabulous design using cymbidium orchids, chrysanthemums and hydrangeas. Here are a few shots of Francis in action, assisted by his colleague Jeremy. 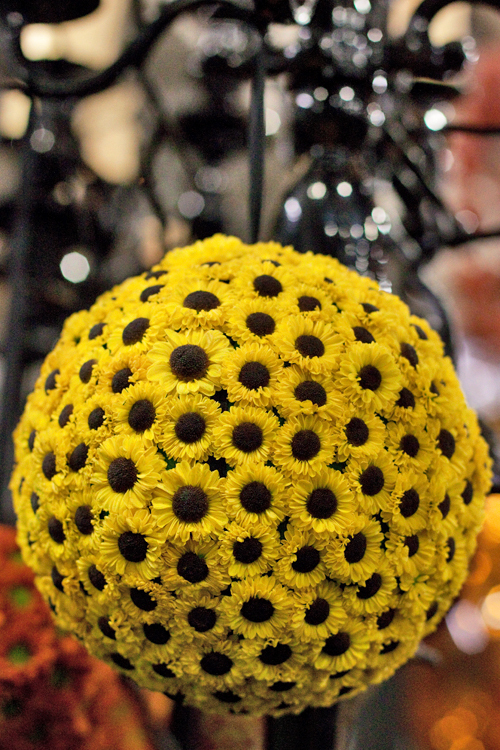 The students were completely enthralled and inspired by Francis’s creations. 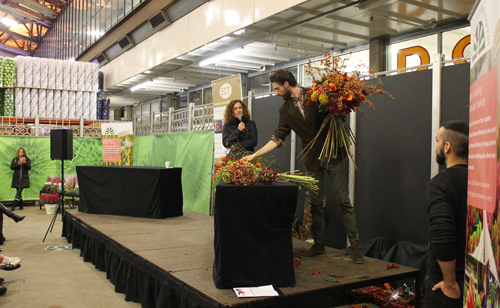 And whilst he worked away, I so enjoyed chatting with him on stage and hearing about his floral journey. 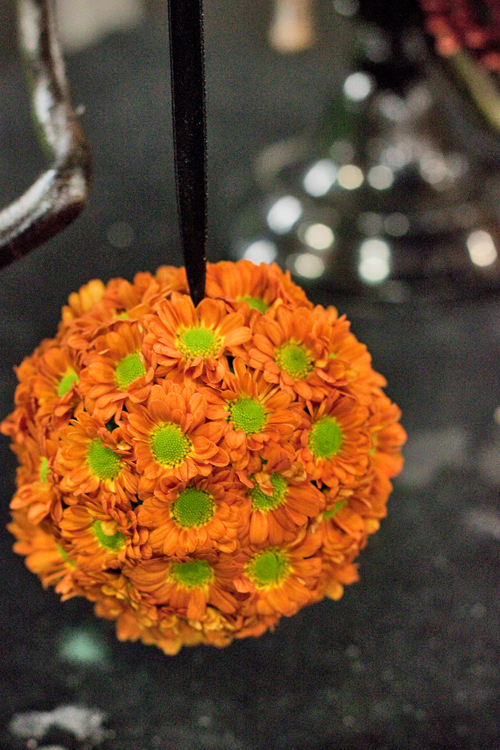 He started by working in a small shop in Shropshire and is now a teacher at the McQueens Flower School in London! 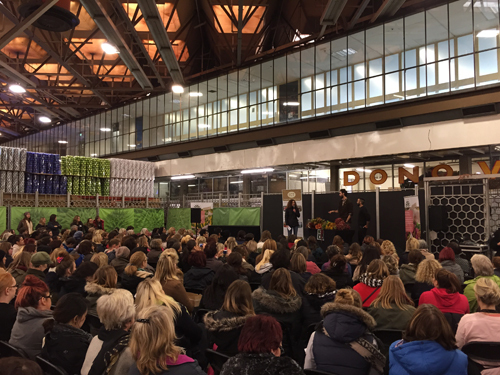 If you’d like to read more about the College Day, please do pop over to the New Covent Garden Flower Market website, where you can read this blog post. P.S. 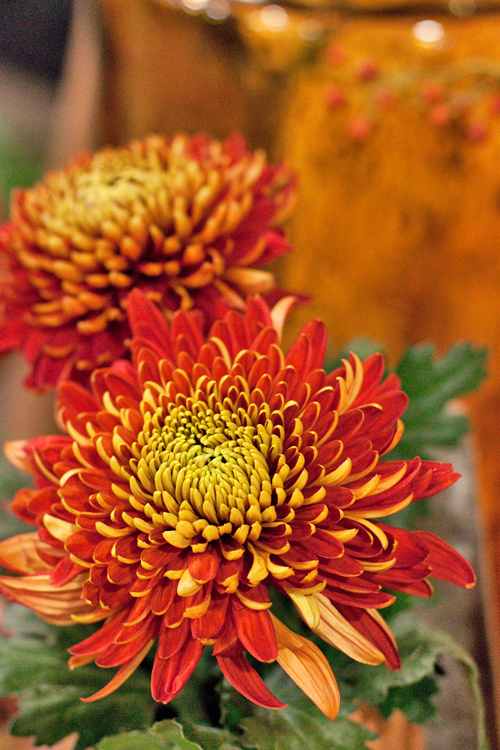 From this evening, Flowerona is going to be undergoing a wonderful transformation. So, there won’t be any new blog posts until Wednesday. 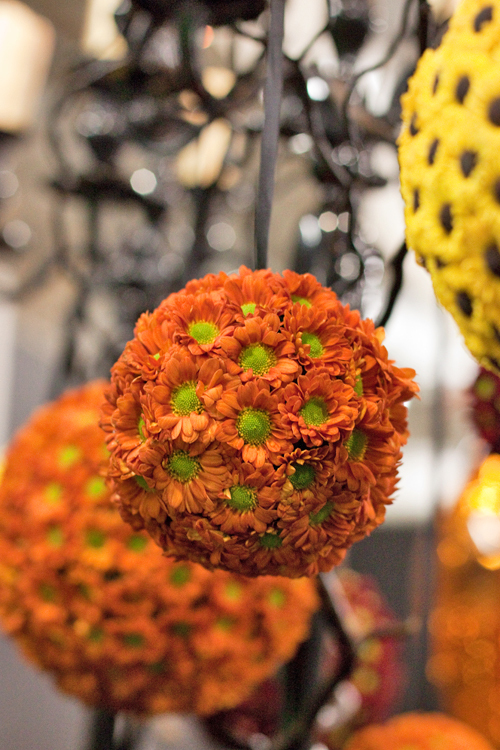 Do visit then, when the brand new Flowerona will be unveiled. I really can’t wait to share it with you! 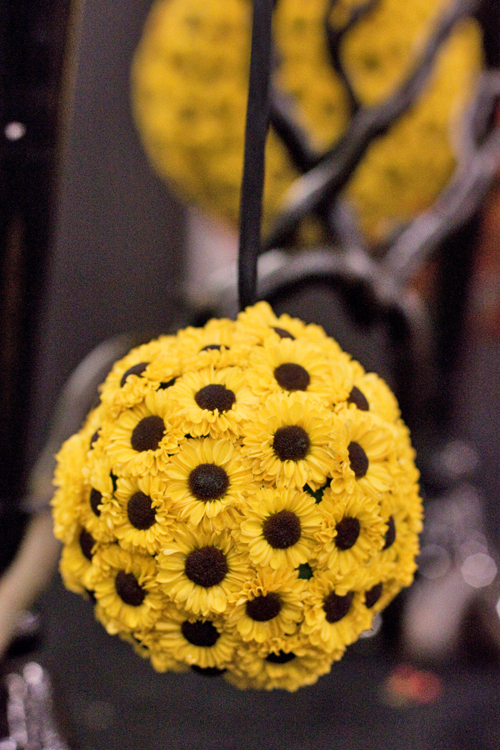 Winner of the inaugural #floweronawedding initiative on Instagram!